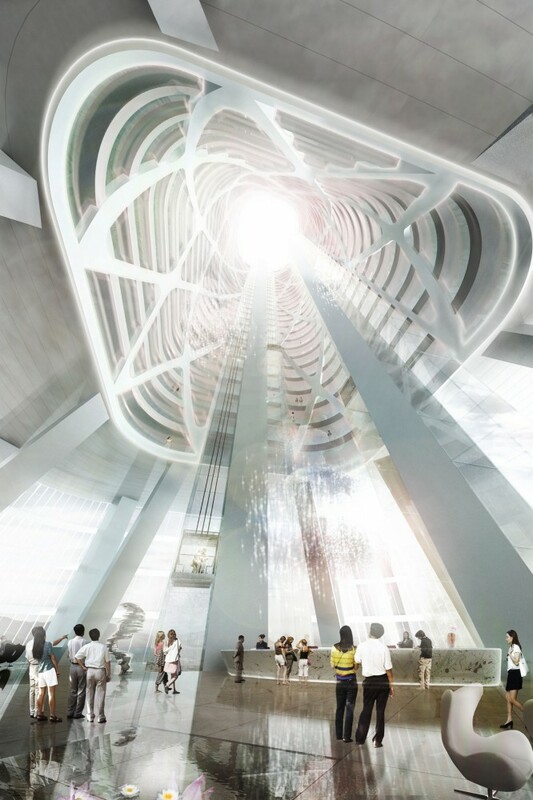 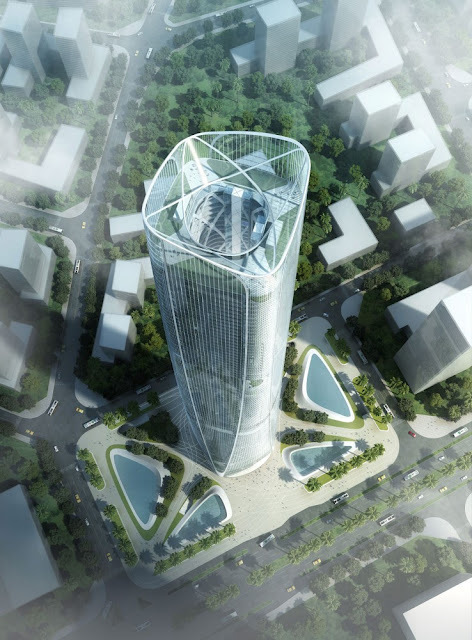 Henn Architekten won an international competition for Haikou Tower, Haikou, China. 10 new skyscrapers should make pretty impressive sight, where the tallest skyscraper is set to rise 450m (1,476ft). 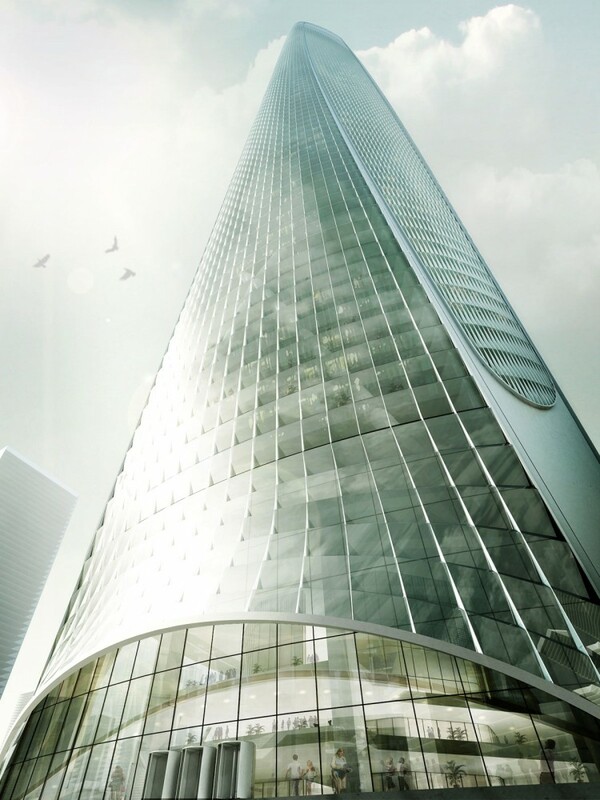 Completion is planed for 2014. 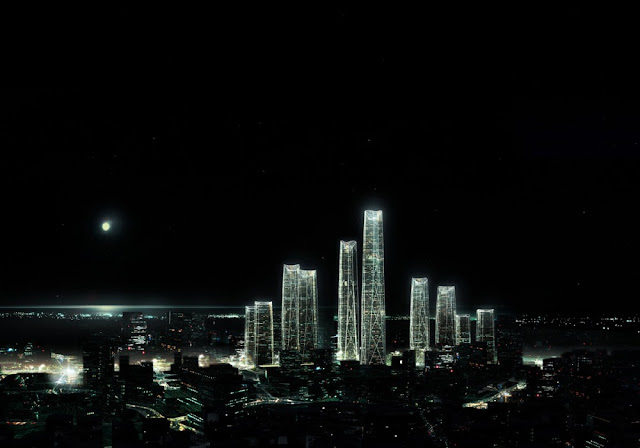 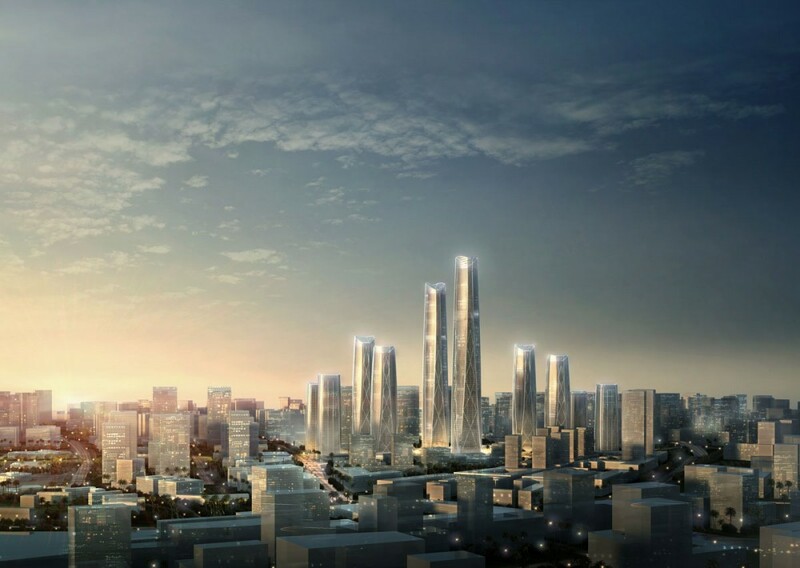 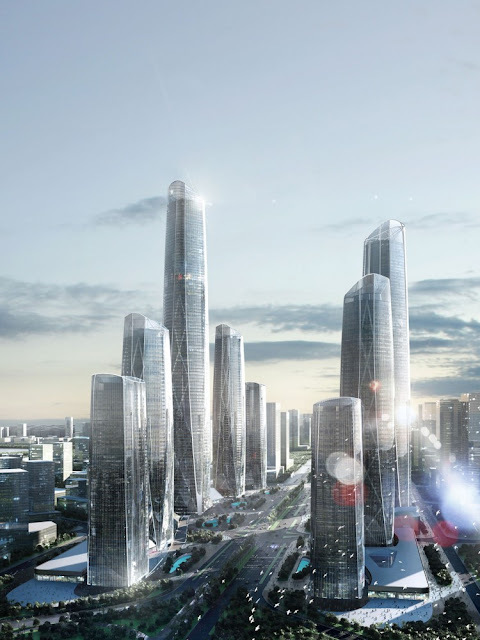 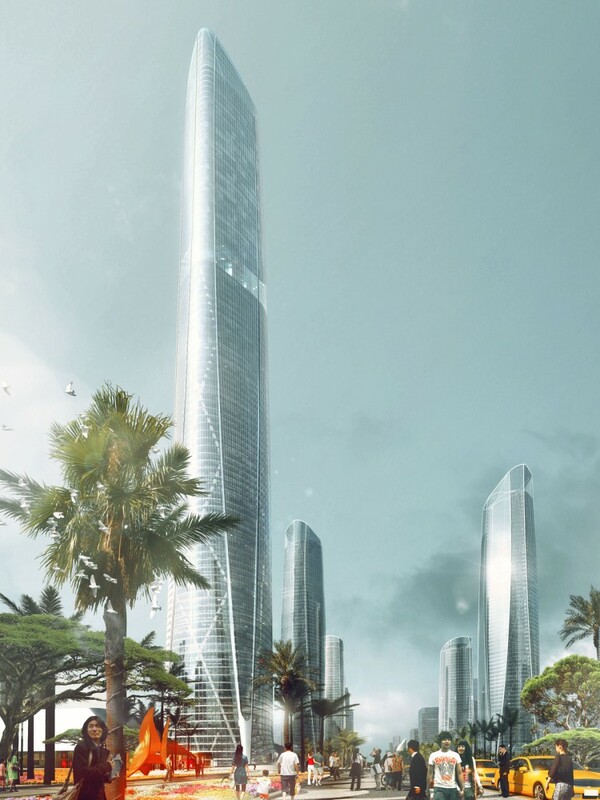 "The Haikou Towers are projected to become the heart of the new Central Business District of Haikou, the capital city of Hainan, a tropical island in the South China Sea. The Masterplan comprises an ensemble of 10 Towers ranging from 150 to 450 meters height with an overall building area of 1.5 million square meters. 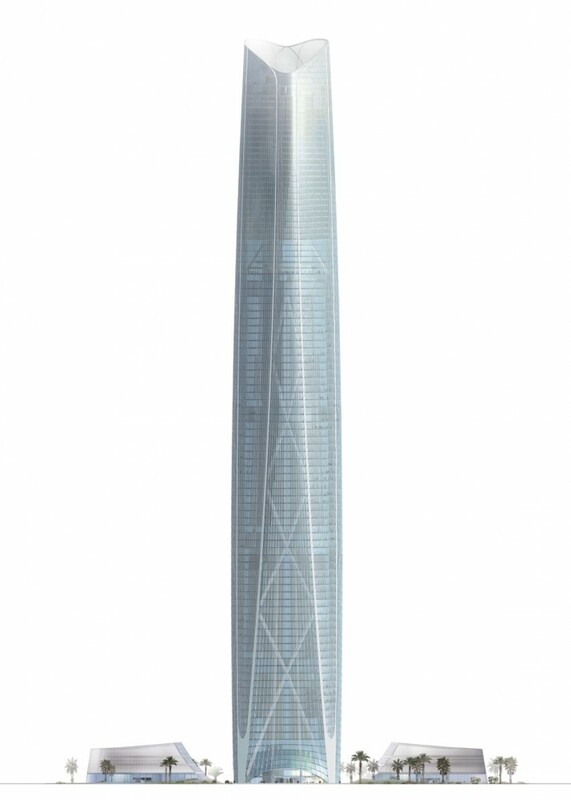 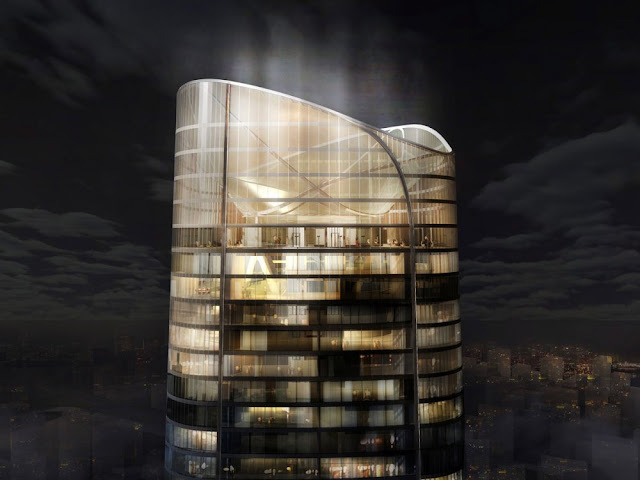 The proposal’s centerpiece is the 450m high middle tower. 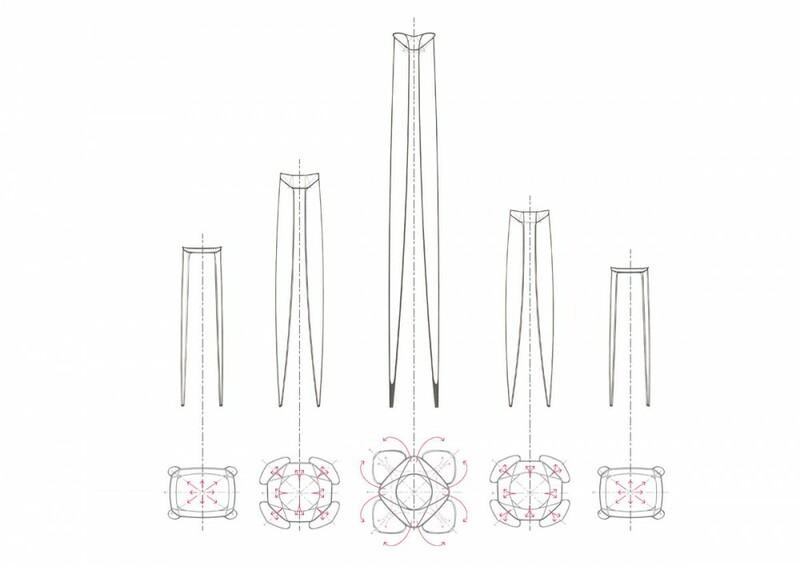 Form and structure have been directly influenced by the program requirements and the drive for a highly efficient structural scheme. 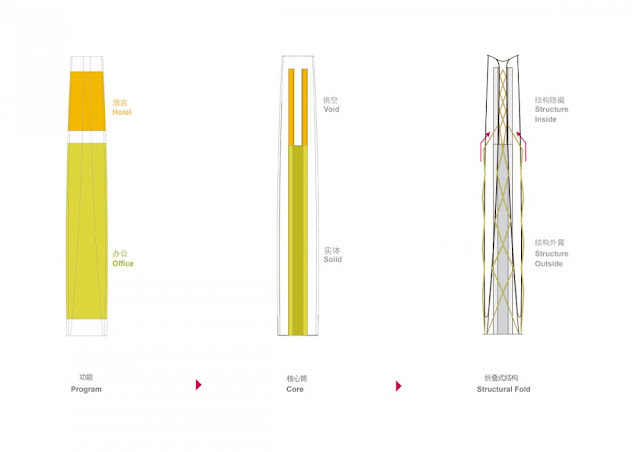 The occupant’s needs for large and flexible office spaces on the lower floors and an unobstructed view from the hotel rooms on the upper levels have led to a shift of the cross-bracing system at the boundary between the two functions. 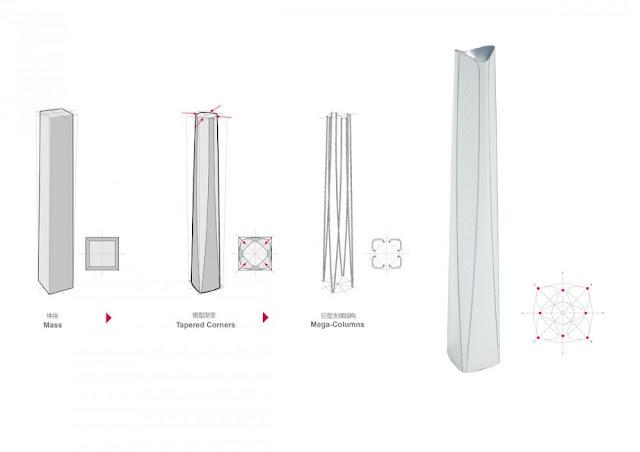 The shift in systems occurs at the hotel lobby area in the form of a large outrigger truss. 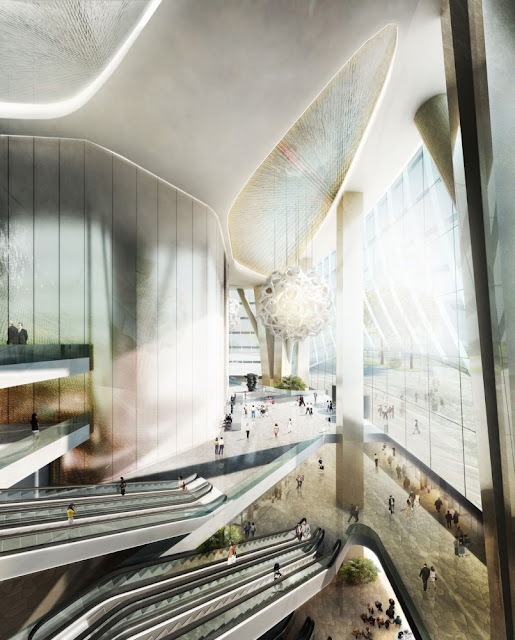 This truss is purposefully exposed and integrated into the architecture to articulate a multistory high atrium on the upper floors and to provide a clear distinction between functions and structural systems. 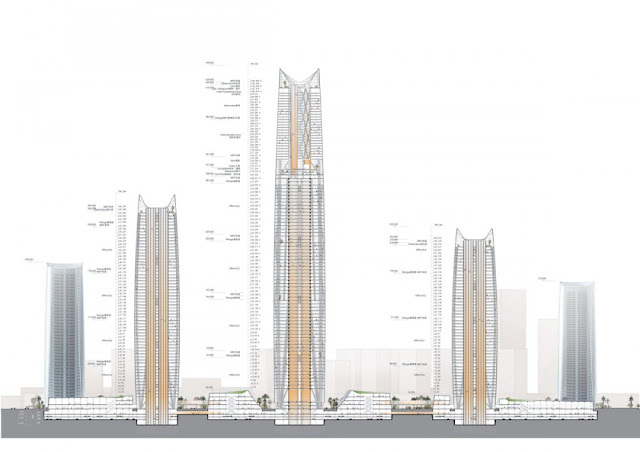 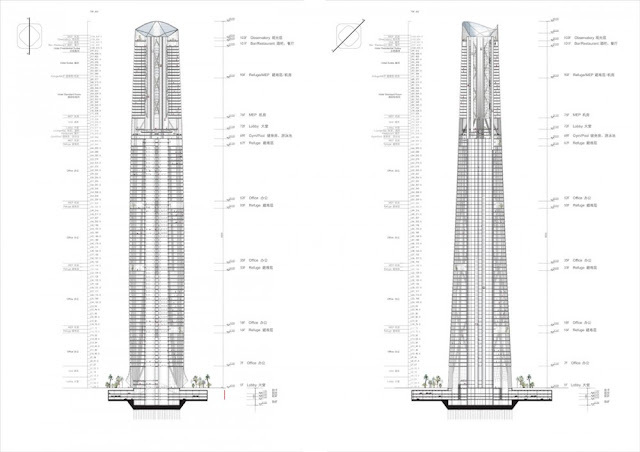 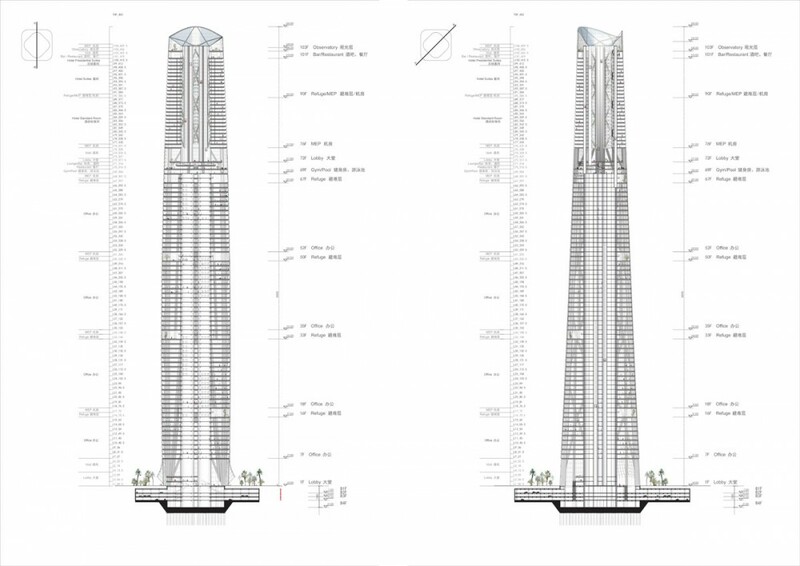 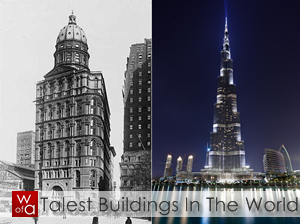 The building height of 450m requires an intelligent, highly performative building envelope. 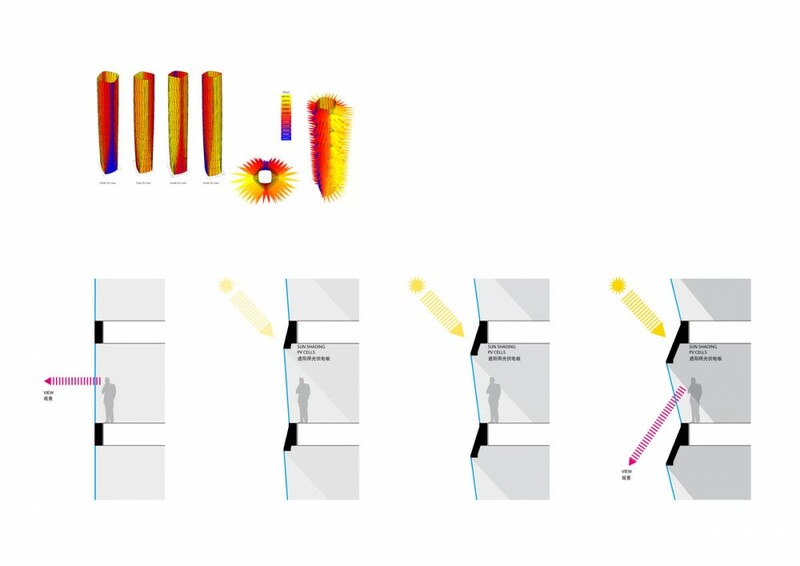 The facade system reacts to differing sunlight conditions depending on the building’s orientation. The proposed facade achieves this with a panel unit system which is divided into two parts – an upper opaque part that blocks sunlight and a lower transparent part. 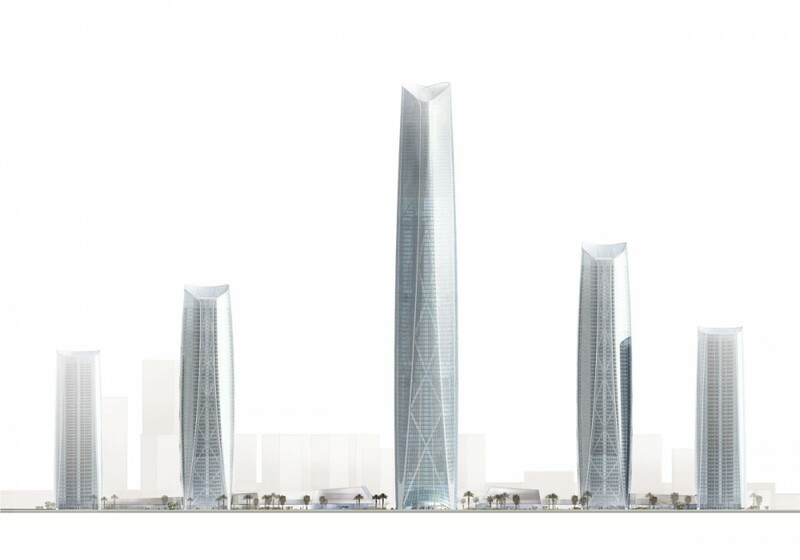 The opaque spandrel panels provide both external shading to reduce cooling loads and energy production by a photovoltaic coating on the south facade. 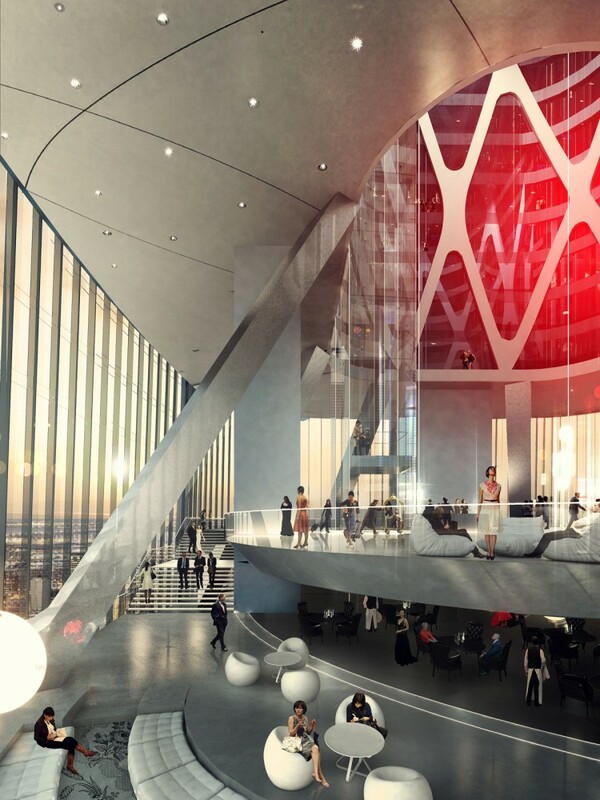 The transparent glass facade in the lower part maximizes the use of daylight. 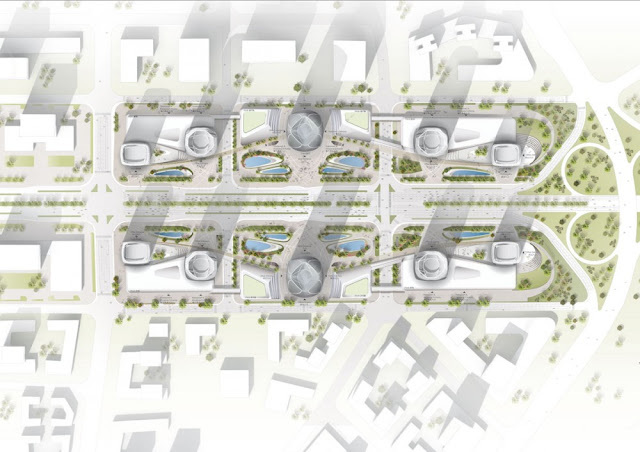 The division in each facade units allows folding in and out. The folding angles vary according to the different sun-shading requirements, from north to south, from bottom to top. 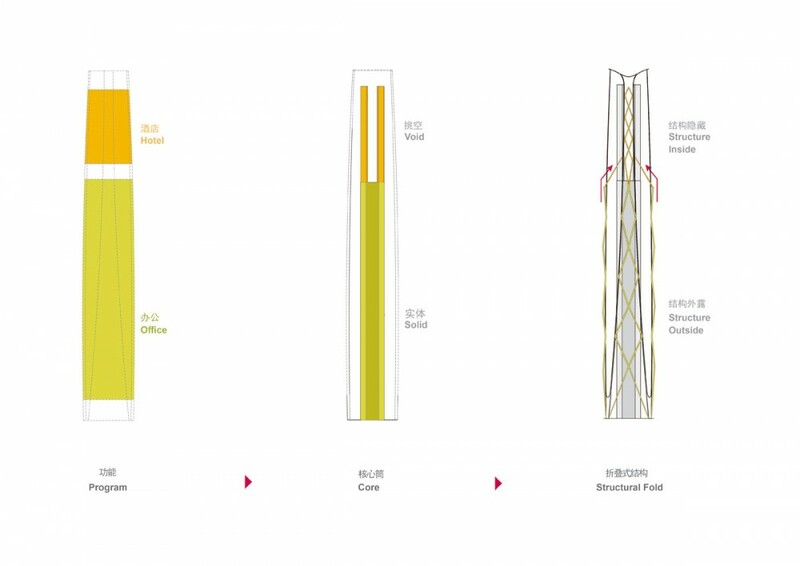 The continuous differentiation of the facade harmoniously blends with the large-scale structure of the tower."